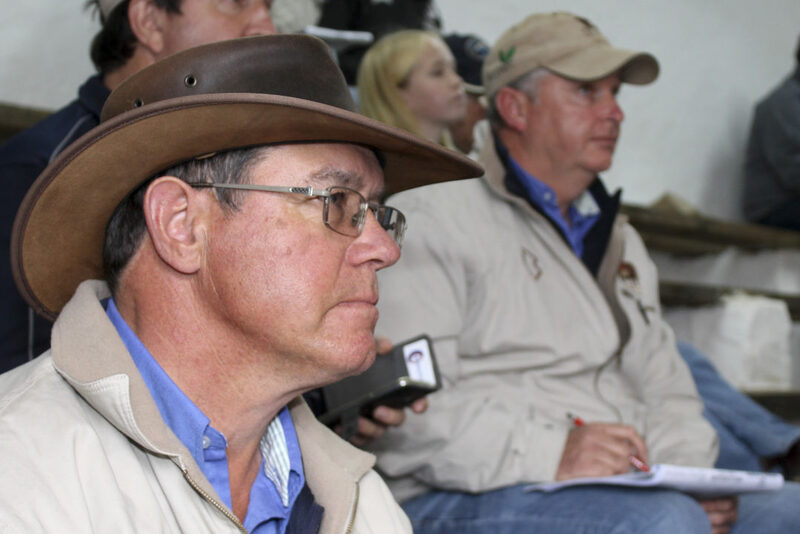 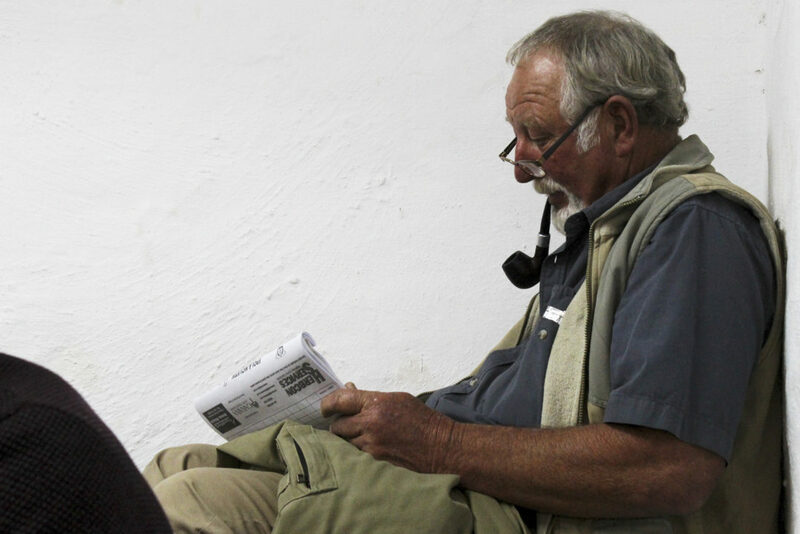 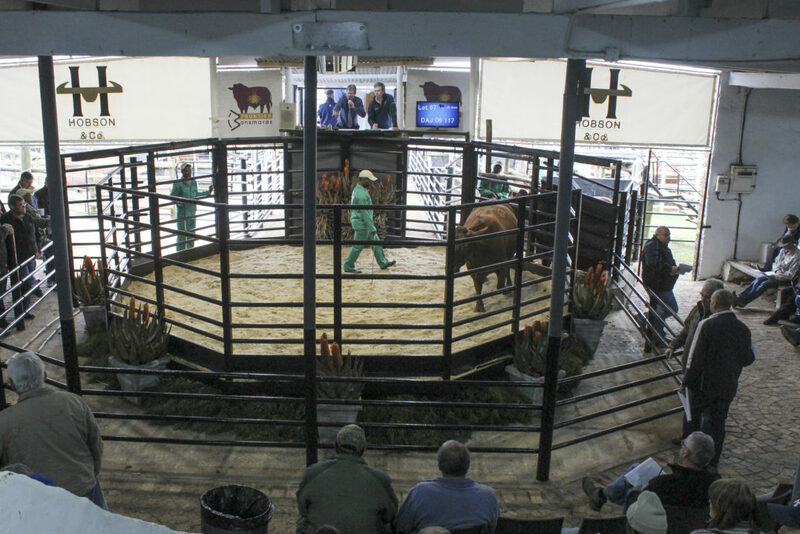 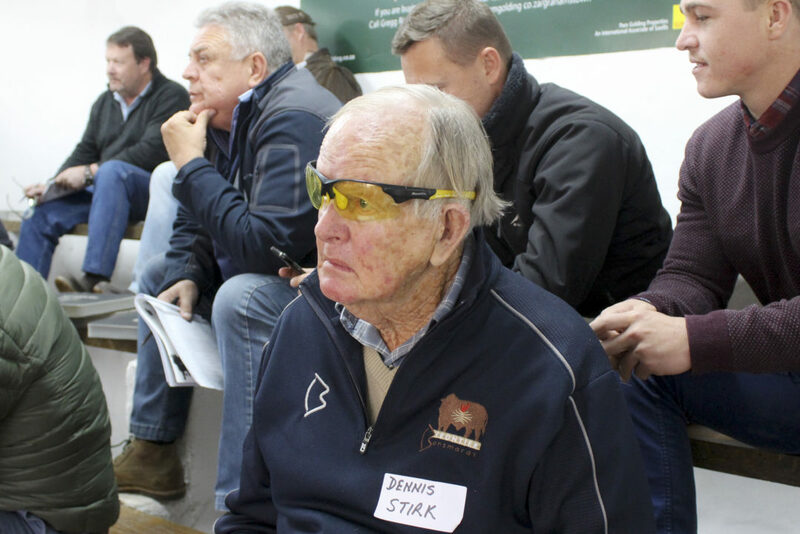 A buyer paid the top price of R80 000 for a bull at the annual Frontier Bonsmara sale at the Hobson & Co auction yards this week. 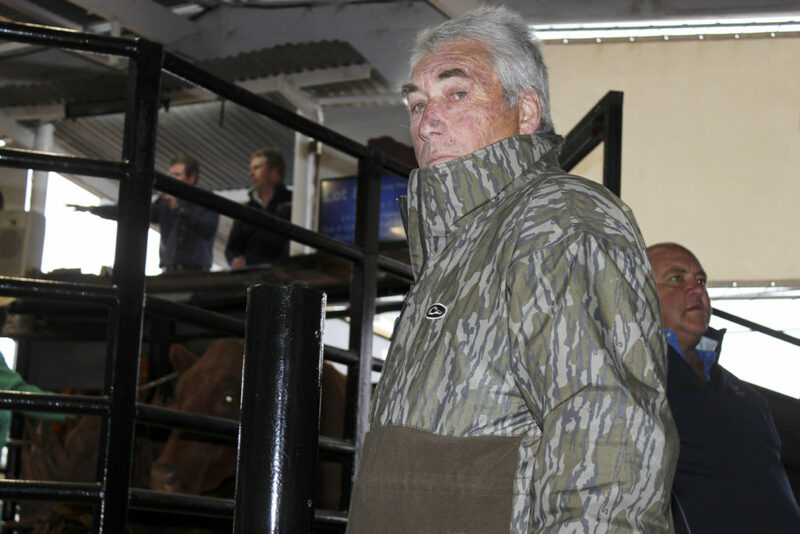 The bull was one of a group of 58 from Eastern Cape breeders Craig Handley and Justin Stirk that fetched the average price of R47 120.69. 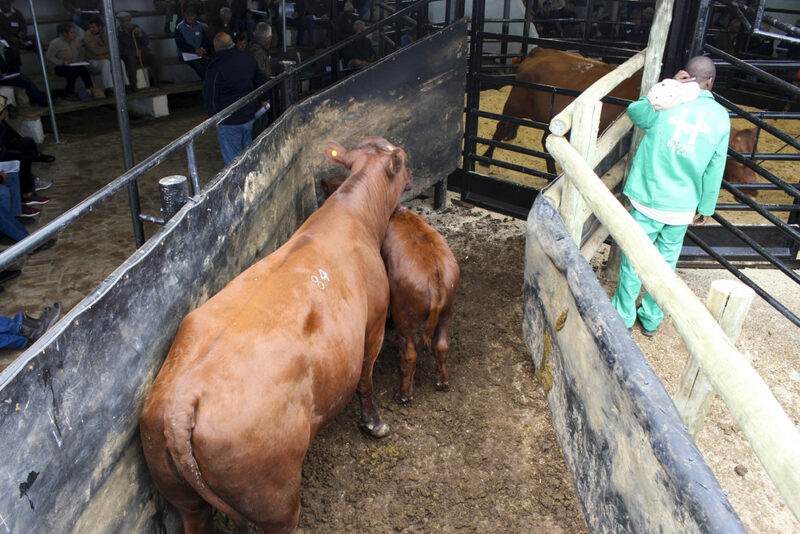 A Handley stud pregnant cow fetched the record price of R50 000 in a group of 15 animals with an average price of R22 666.67. 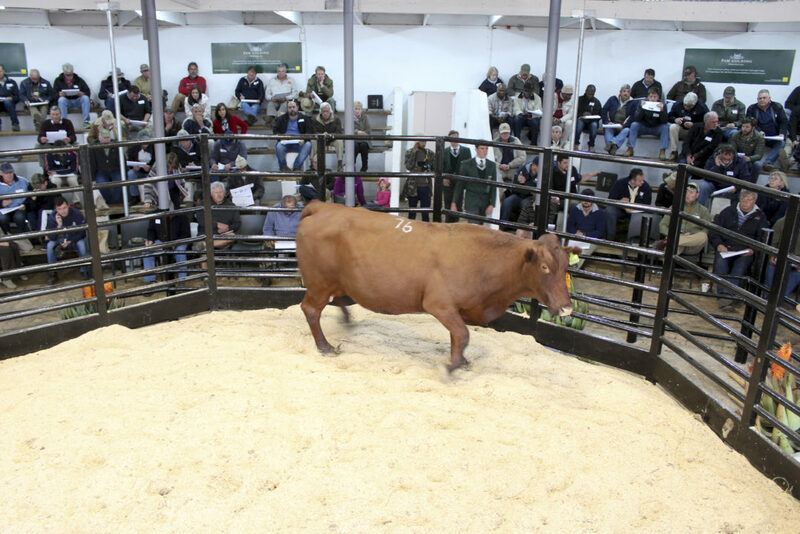 The sale hall was packed shortly after the midday start of the auction. 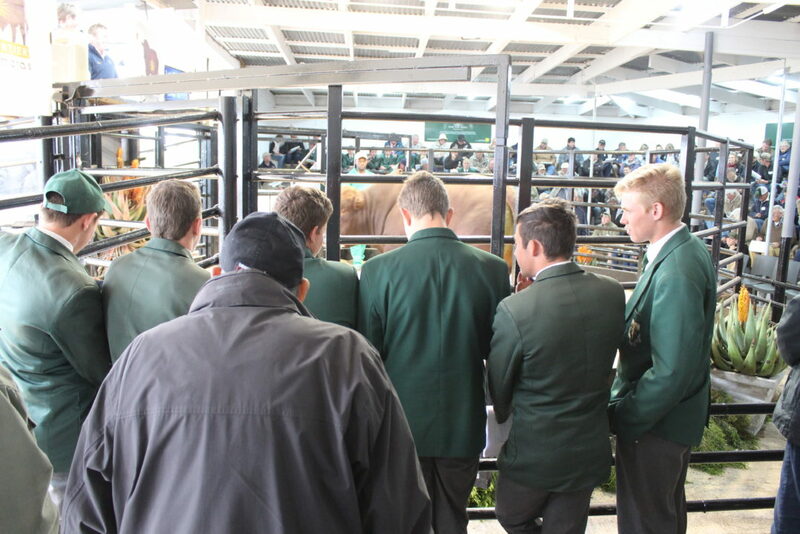 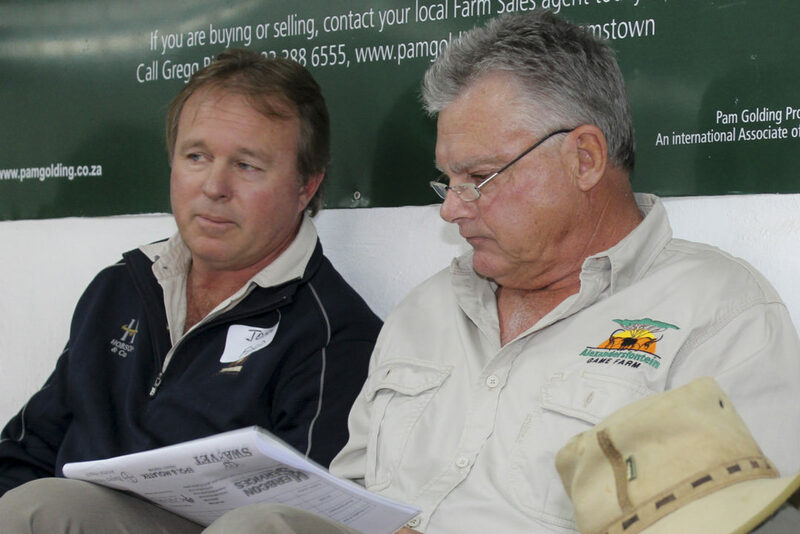 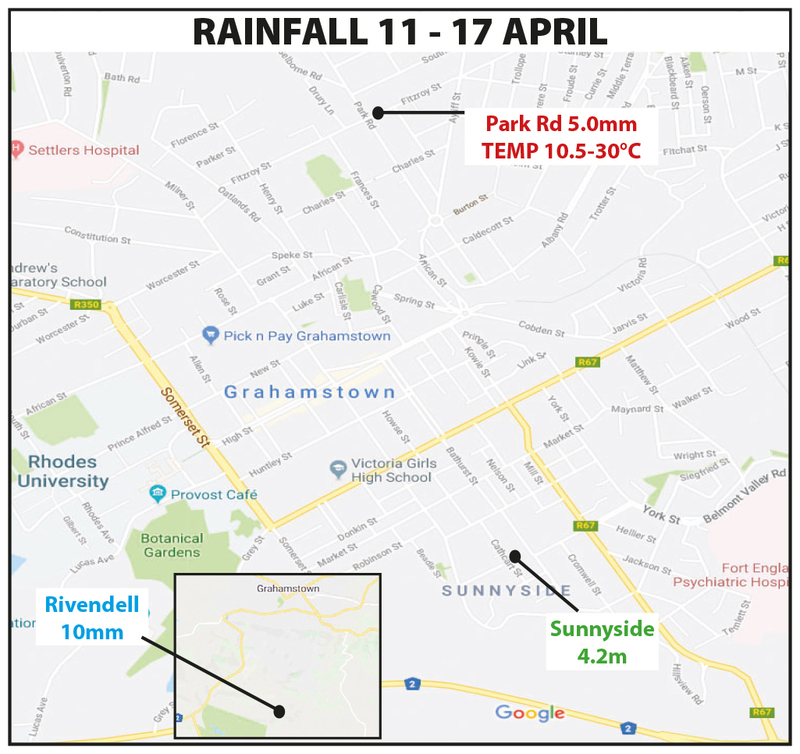 A who’s who of farmers from the district at the top of their game, there were also a number of younger and emerging farmers, and a group of pupils from Hoer Landbouskool Marlow there to observe the sale. 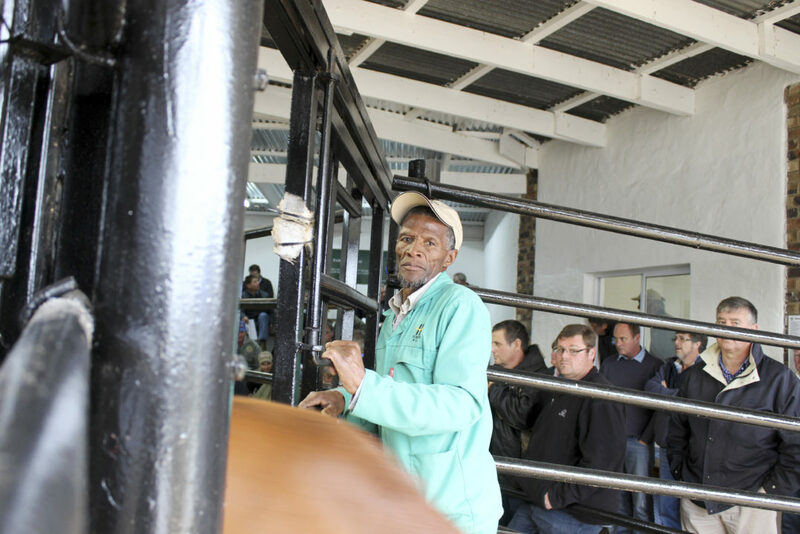 The specialist nature of the Bonsmara breed means buyers from other provinces make the journey to spot and pick up quality breeding stock. 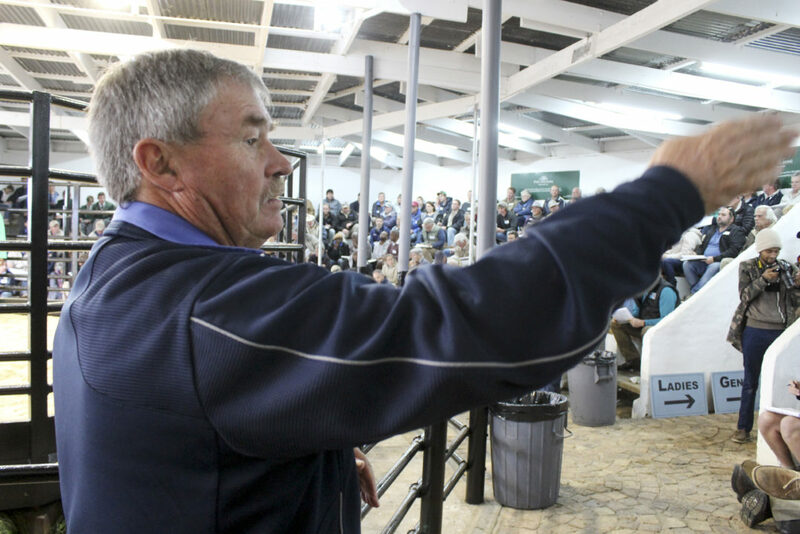 “The sale is always well attended but this year especially so,” said Paul Hobson. 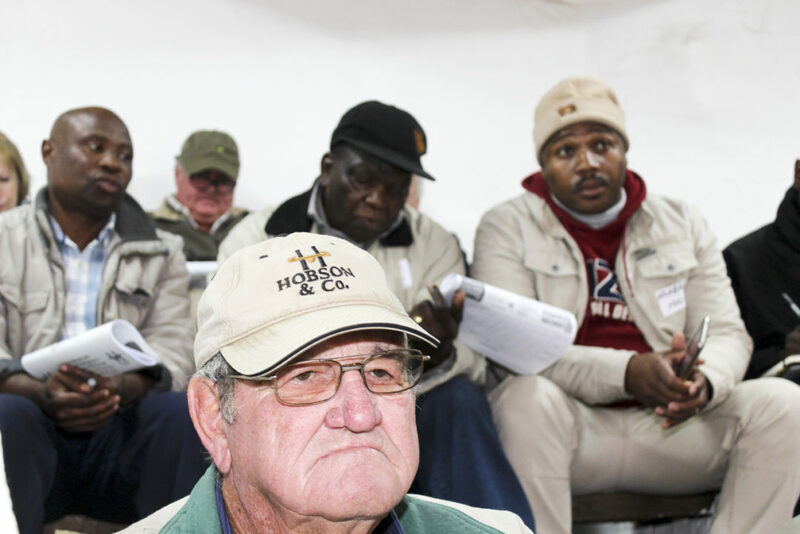 The mood of bidders was very measured, Hobson said. 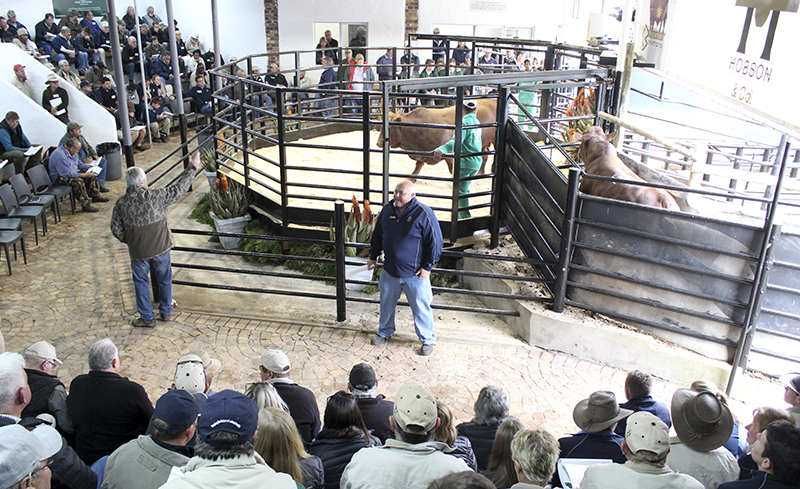 “There were lots of interested parties, but the economic climate is such that people are really bidding to their budget,” he said. 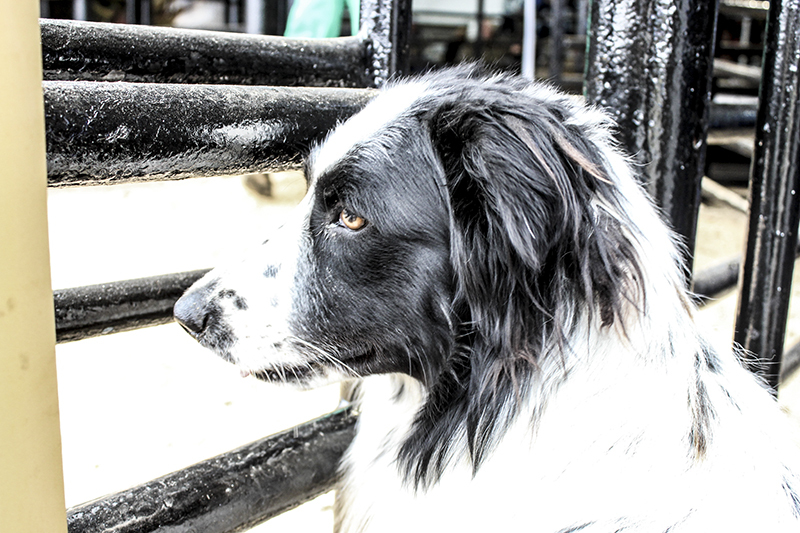 Particularly notable was the enthusiasm for cows. 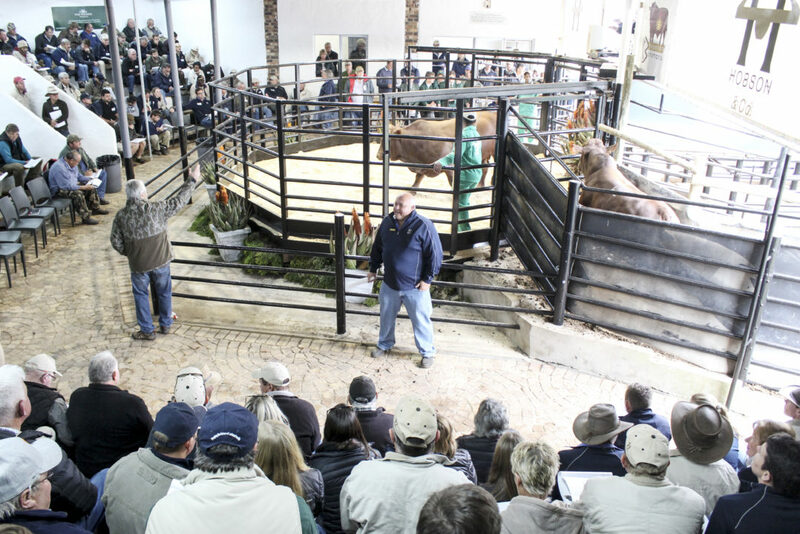 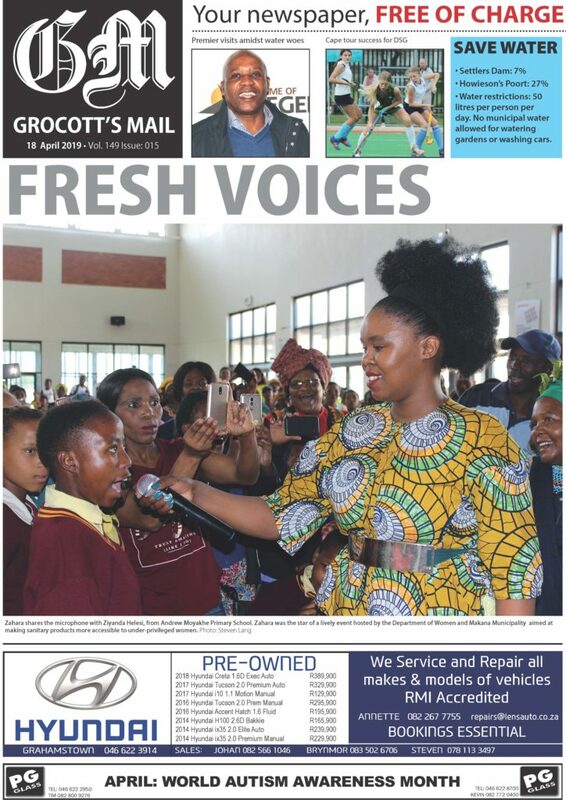 “The female market was very buoyant and very high – the highest it’s ever been,” Hobson said and the R50K paid for the Handley cow was a first. 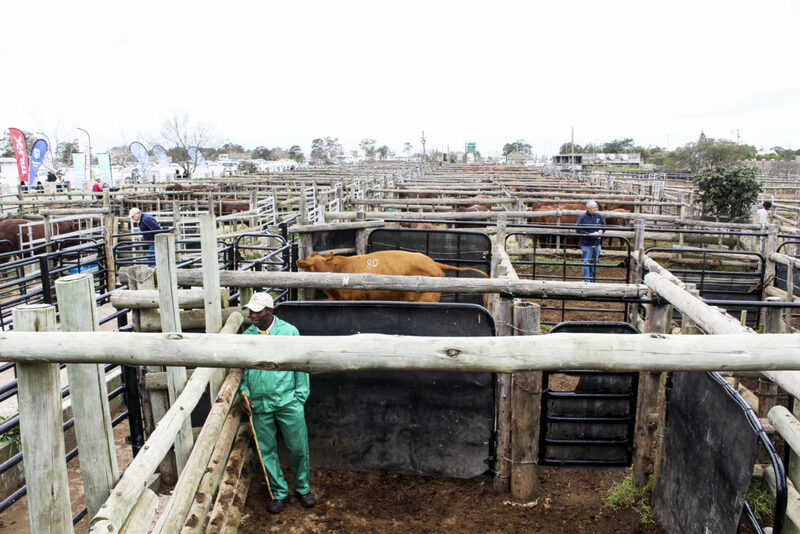 Farmers sold off animals during the drought and were now restocking. 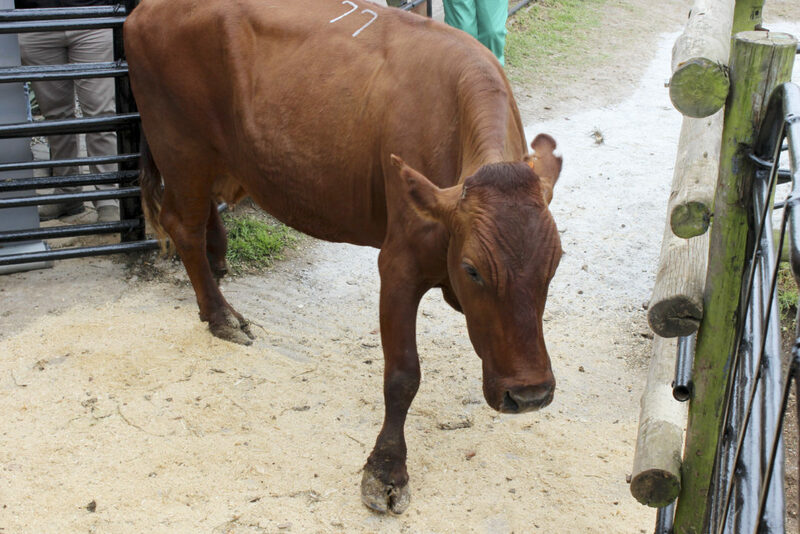 Bonsmaras are considered a benchmark in scientific breeding. 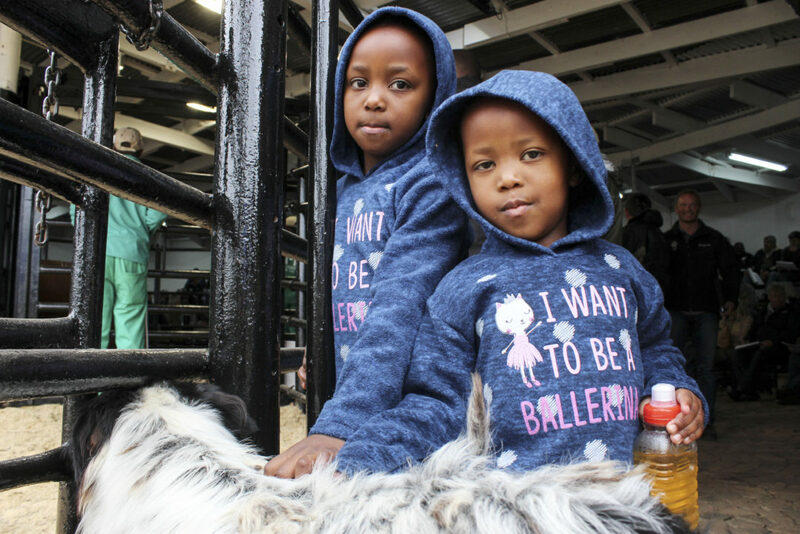 A successful South African experiment bred for beef, they are a cross between Afrikander, Hereford and Shorthorn, resistant to drought, parasites and disease. 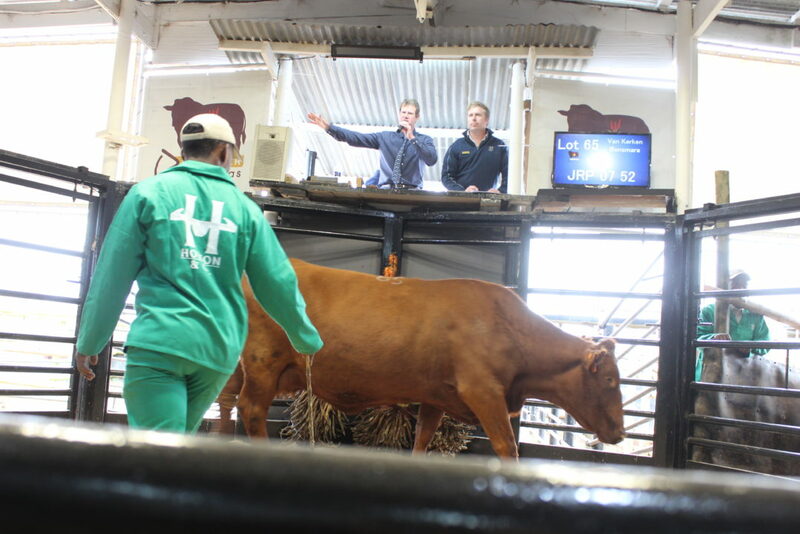 In other sales, a stud cow with a calf fetched R13K; 62 commercial pregnant cows averaged R18 189.52 (top price R21 500); commercial cows and calves R17 142.86 (top price R20 500) and commercial pregnant heifers R17 710.53 (top price R21 000).